The ad hoc Division of the Court of Arbitration for Sport (CAS) at the Olympic Games Rio 2016 has rendered its decision in the arbitration between the World Antidoping Agency (WADA), the Indian wrestler Narsingh Yadav and the National Anti-doping Agency of India (NADA). 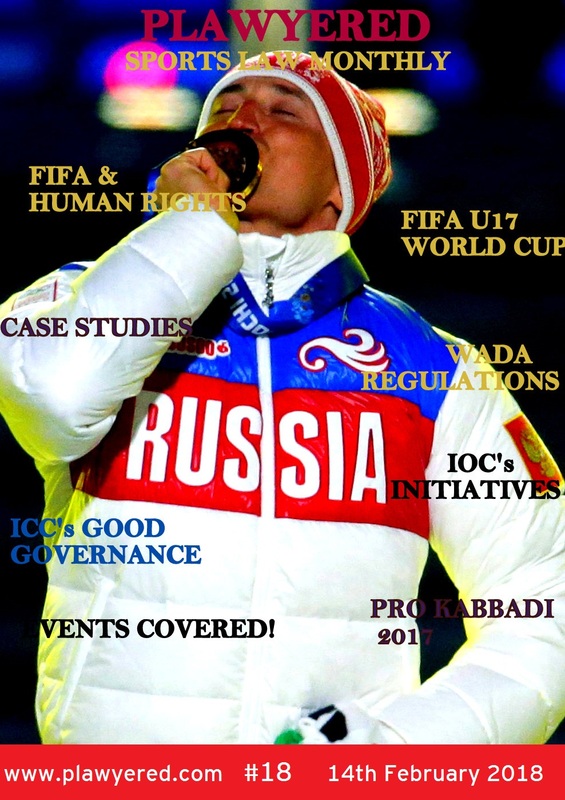 WADA filed an urgent application before the CAS ad hoc Division to challenge the decision of NADA India to exonerate Narsingh Yadav following two positive anti-doping tests with methandienone on 25 June and 5 July 2016. The athlete asserted that he was the victim of sabotage (food/drink tampering) by another person. WADA requested that a 4-year period of ineligibility be imposed on the athlete. The parties were informed that the application was upheld, that Narsingh Yadav was sanctioned with a four-year ineligibility period starting today and that any period of provisional suspension or ineligibility effectively served by the athlete before the entry into force of this award shall be credited against the total period of ineligibility to be served. Furthermore, all competitive results obtained by Narsingh Yadav from and including 25 June 2016 shall be disqualified, with all resulting consequences (including forfeiture of medals, points and prizes). The CAS Panel did not accept the argument of the athlete that he was the victim of sabotage and noted that there was no evidence that he bore no fault, nor that the anti-doping rule violation was not intentional. Therefore the standard 4-year period of ineligibility was imposed by the Panel.